Shout! Factory and Legacy Classics are bringing the classic literary figures The Boxcar Children to Blu-ray and DVD in a brand new, Dove-approved adventure next week. Set for release August 7, this second cinematic adaptation of the beloved children’s books is another mostly enjoyable offering from Shout! Studios and Legacy Classics Family Entertainment despite production values that again prove somewhat problematic to the movie’s presentation. Those collective production values will be discussed a little later. That’s because again, this production is not entirely negative. It does boast a story that is certain to keep audiences of all ages engaged from start to end. The bonus material included in the movie’s upcoming home release is another positive worth discussing. It will be noted later, too. Each item noted here is important in its own way to the whole of The Boxcar Children: Surprise Island, and are certainly not the only items that could be discussed in examining the movie’s presentation. One could also discuss the work of the movie’s voice cast, which includes at least two very well-known actors. All things combined, The Boxcar Children: Surprise Island proves, unsurprisingly, to be an enjoyable new entry in Shout! Studios’ ongoing slate of stories from the beloved literary series. The Boxcar Children: Surprise Island, the latest entry in the ongoing Boxcar Children cinematic series from Shout! Studios and Legacy Classics Family Entertainment, is a mostly enjoyable addition to the series. That is due in part to a relatively simple story that, through its simplicity, is easy for viewers of any age to follow. This time out, the kids – Mike, Benny, Jessie and Violet – are staying on an island on which their grandfather James (voiced by veteran actor Martin Sheen – Apocalypse Now, Spawn, The West Wing) has a barn of sorts. While they are exploring the island, the children – who are obviously orphans no more, considering that they have their grandfather – run into John Joseph (Dan Dehaan – Chronicle, The Place Beyond The Pines, The Amazing Spiderman 2). John Joseph has been hired by Dr. Moore (J.K. Simmons – Spiderman 1 – 3, Whiplash, La La Land) to help take care of things on the island. Early on, it is revealed that John Joseph has a secret, but it isn’t until later that said secret is ultimately revealed. His secret won’t be given away, but it goes without saying that his secret is somewhat predictable. That isn’t necessarily a bad thing, as it could help to continue the children’s story in the next Boxcar Children entry. Obviously, the story has a happy ending, though one can’t help but wonder why exactly the kids were living alone on that island for the summer in the first place when they end up going back to their grandfather’s mansion in the end, which is only a boat ride away. Story begets story, perhaps. The obvious rebuttal there is that had they not gone to live on their own in the barn (which had no electricity), there would have been no story leading to John Joseph’s secret and revelation. What’s more, the discovery of the Native American skeleton in the cave seems to be brushed aside. That loose end would have been a nice side story. Maybe it will be covered in another adventure. Getting back on the subject at hand, even with those digressions in mind, the movie’s story is still simple enough that it will keep viewers of all ages engaged and entertained from start to end of its roughly 82-minute run time. Of course while the story itself will keep viewers engaged, the movie’s production proves problematic in the bigger picture of the movie’s presentation. Once again, audiences get in this movie, a presentation whose animation is on par with an old N64 video game. In other words, while it does create a clear setting for the story, the overall look sadly leaves so much to be wanted. If one were to compare this full-on CG animation to other CG movies currently available, the comparison to said movies would reveal an aesthetic item that makes the movie somewhat uncomfortable to watch. In the same vein, the movie’s music, while a nice addition to the overall presentation, sometimes has a tendency to overpower the cast’s own presentations. This happens not just once or twice, but at multiple points throughout the movie. As minor as that may seem, it does play a big part in the movie’s presentation. Keeping that in mind, the movie’s production, while interesting to learn about in the companion bonus features, does detract from the viewing experience. It doesn’t make the movie unwatchable, but it does take away from the overall experience. As much as it takes away from the movie’s presentation, the noted bonus features make up at least to a point. The bonus material included in the movie’s presentation includes the standard behind-the-scenes featurette and some insightful pieces on the music, sound effects and sound mixing included as extras. The behind-the-scenes featurette is highlighted by the discussions on and from the voice cast and creative heads, of course. It also includes an interesting note from one of the movie’s creative heads about how someone close to Gertrud Chandler Warner, the author of the original Boxcar Children books directly played into the movie’s creation (and that of its predecessor). It’s noted in this interview that there was insistence that the cinematic adaptations of the books stay true to their source material and that said insistence overpowered the thoughts of some very powerful figures. While the movie’s animation may leave viewers wanting, at least viewers know that certain higher-ups who wanted to update the story didn’t get their way, and instead allowed the story’s adaptation here maintain the look and feel of the original story. It’s a small victory for creative power, but a victory nonetheless. What’s more, this discussion itself serves to show yet again the importance of bonus features to a movie. This in itself creates its own appreciation for the movie, making up at least a little for the low quality of the movie’s animation. It’s just one of the discussions that proves the value of the bonus features. The discussion on the movie’s music and its creation is just as interesting as that of the discussion on the approach to the movie. Audiences learn through this discussion that the movie’s soundtrack was created almost entirely through real instruments. The introduction of said instruments might even be the first-ever for many audiences. It was for this critic. That aspect of the movie’s creation adds even more appreciation for its presentation as does the standalone discussion on the creation of the movie’s sound effects. The discussion on the sound production and mixing is the only one that will leave viewers scratching their heads, again considering the problems with the final product. Even with that in mind, the other noted bonus features do just enough to make up for that feature. That’s because they show how much time and work went into making the movie aesthetically appealing. To that end, that work – set alongside the movie’s story – does just enough to make the movie worth an occasional watch even with the movie’s production problems. Shout! Factory and Legacy Classics are bringing the classic literary figures The Boxcar Children to Blu-ray and DVD in a brand new, Dove-approved adventure this summer. 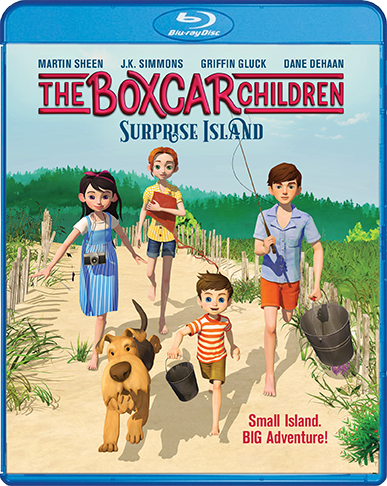 The Boxcar Children: Surprise Island is scheduled to be released August 7 via Shout! Factory Kids. The story, co-directed by Dan Chuba (The Boxcar Children) and Mark Dippe (Spawn, Garfield Gets Real, Garfield’s Pet Force), follows the young orphans as they spend the summer on their grandfather’s tiny, almost uninhabited island. As it turns out, there is at least one other person living on the island, a mysterious figure named Joe. Joe seems very friendly and helpful, but something about him doesn’t seem right. So, the kids start trying to figure out if he’s hiding something. The movie features the voice talents of J.K. Simmons (Spiderman 1 – 3, Whiplash, La La Land), Martin Sheen (The Departed, Apocalypse Now, Spawn), Griffin Gluck (Just Go With It, Why Him?, Just Before I Go), Dane Dehaan (Chronicle, The Place Beyond The Pines, The Amazing Spder Man 2), Joey King (The Kissing Booth, White House Down, The Conjuring), Talitha Bateman (The 5th Wave: Annabelle: Creation, Love, Simon) and Gil Birmingham (Twilight, The Twilight Saga: Breaking Dawn Part 1, The Twilight Saga: Breaking Dawn Part 2). Maya the Bee is back on Blu-ray with a brand new adventure that is certain to have viewers of all ages *ahem* buzzing courtesy of Shout! Factory and Studio 100. The adventure, Maya The Bee 2 comes a little more than two years after the release of its predecessor, Maya The Bee, which was also released via Shout! Factory and Studio 100. While it likely will not be unfamiliar to many audiences in its approach, this installment in the Maya The Bee franchise is still a story that is certain to entertain and engage viewers of all ages. That story is one part of what makes the movie worth at least one watch. The bonus material included with the movie adds to its entertainment, showing even more why this movie is worth seeing. The work of the movie’s cast plays its own part in the movie’s presentation, too, and will be discussed a little later on. Each element noted here is important in its own way to the whole of Maya The Bee 2. All things considered, they make Maya The Bee 2 a work that is certain to bring the whole family together, and in turn have viewers of all ages buzzing about this new animated feature. Shout! Factory and Studio 100’s new animated import Maya The Bee 2 is another enjoyable entry in the bigger story of the little bee who could. It is definitely worth at least one watch. That is due in no small part to the story at the center of the movie. Many viewers may find that the movie at the center of the movie is not exactly unfamiliar. It is, at its core, an underdog tale centered on a competition that will decide the fate of two groups. In the case of this story, Maya and an unlikely group of ragtag misfits join together to defeat Violet and her friends so that Maya’s colony won’t have to sacrifice what little honey it has in a thin summer season. As expected Violet and her friends at first prove problematic for Maya and Team Poppy. That’s because of her villainous ways, including playing with the emotions of Maya’s best friend. As the story progresses, Violet of course learns her lesson and finally does the right thing, leading to a happy ending for all that includes Violet and Maya becoming friends. It’s anything but new in regards to the overall plot. 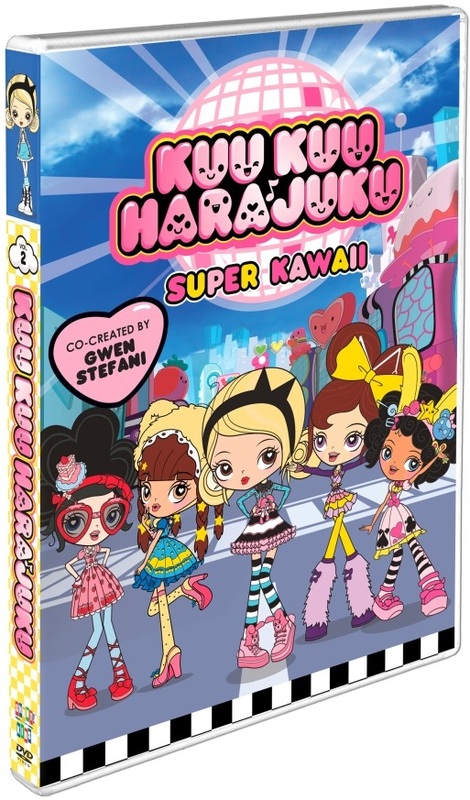 Audiences have seen this already in the likes of Disney’s Pixie Hollow Games (one of its many Tinkerbell specials), Monsters University, Revenge of the Nerds and other similar movies and TV specials. Through it all are the common discussions on friendship, fair play and family that are tied in to the story’s secondary coming-of-age plot. That secondary plot sees Maya growing as she navigates the situation. That growth plays directly into the main plot, and in turn shows even more why the movie’s story, while not unfamiliar, is still reason enough for families to see it at least once. It is only one part of what makes Maya The Bee 2 an interesting watch. The bonus material that is included in the movie’s presentation strengthens that presentation even more. The bonus material included with Maya The Bee 2’s home release is the standard fare, much as with its story – a behind-the-scenes making of featurette that shows how the movie came to life. Yet, it does its own share to entertain viewers and keep them engaged. The making of featurette gives viewers a glimpse into the process of the movie’s creation, from the importance of lining up the sound effects (and using the proper tools to create the sound effects) to the time and effort put into making the movie look as realistic as possible and more. It only runs roughly 20 minutes at the most, yet those discussions and the discussion on the very motivation for the movie’s creation come together the add even more reason for families to watch the movie. That’s because of the added appreciation that they create for the movie overall. Even with that added appreciation in mind, the noted elements are still not the last of the movie’s most important elements. The work of the movie’s cast is important in its own right to the movie’s presentation, too. The work of the movie’s cast is important to note because while it is voice over work, it still requires its own share of effort and time. Luckily, that time and effort paid off, especially for lead voice actor Coco Jack Gillies (Mad Max: Fury Road, The evil’s Playground, Oddball and the Penguins), the voice of Maya. Whether in her happier moments or her more emotional moments, Gillies makes Maya a wholly sympathetic character for whom audiences will have no problem rooting. Case in point is the movie’s climax, in which Maya admits to the Queen (Justine Clark – Mad Max Beyond Thunderdome, Look Both Ways, Danny Deckchair) and to the Empress (Marny McQueen – Son of the Mask, The Mule, Bogan Pride) that she had disrespected each character, and in turn dishonored them. The humility that Gillies establishes in her delivery makes this moment one of the movie’s most memorable and engaging. That’s because of Gillies’ ability to make audiences believe her performance. A happier moment such as that when the Empress initially invites Maya to the games, is just as believable. Gillies’ cast mates do their own part in making the movie engaging, too. Linda Ngo (Top of the Lake, The Furies, Mako Mermaids) is just as enjoyable as the despicable and spoiled Violet. She brings to her performance, a certain something that makes audiences love to hate Violet. That is a tribute to Ngo’s work. Even as Violet has her change of heart, Ngo makes that moment believable even as predictable as it was. Benson Jack Anthony (800 Words, Emo The Musical, High Life) does a good job in his own right, too, even though Willi, Maya’s “sidekick” is not on screen but so much. Anthony makes the most of each appearance, making viewers applaud him, too. His performance gives plenty of hope for his future regardless of whether it is in voice work or actually on screen. Taking into account each of these performances and those not more directly discussed, the whole of the cast’s work proves to do just as much for Maya The Bee 2 as its story and bonus material. When all three elements are joined together, they make Maya the Bee a movie that is sure to have the whole family *ahem* buzzing. Maya The Bee is back! The beloved little honey bee has a new family friendly movie on the way. Maya The Bee 2: The Honey Games is currently scheduled for release May 1, 2018 via Shout! Factory Kids. It will be released on Blu-ray/DVD combo pack and standalone DVD. Co-directed by the team of Noel Cleary (Tashi), Sergio Delfino (Chicken Run) and Alexs Stadermann (Maya The Bee, Bambi II, A Goofy Movie), this story follows Maya and her friend Willy as they travel to Buzztropolis to compete in The Honey Games. The danger is that if the pair loses the games, they have to give their summer honey harvest to the Empress. This could spell disaster for Maya’s hive since the harvest season had been slim. Over the course of the story, audiences learn invaluable lessons about friendship, responsibility and courage. Originally based on the German novel Maya The Bee in 1912, the stories of Maya have been passed down throughout the ages in countless languages. 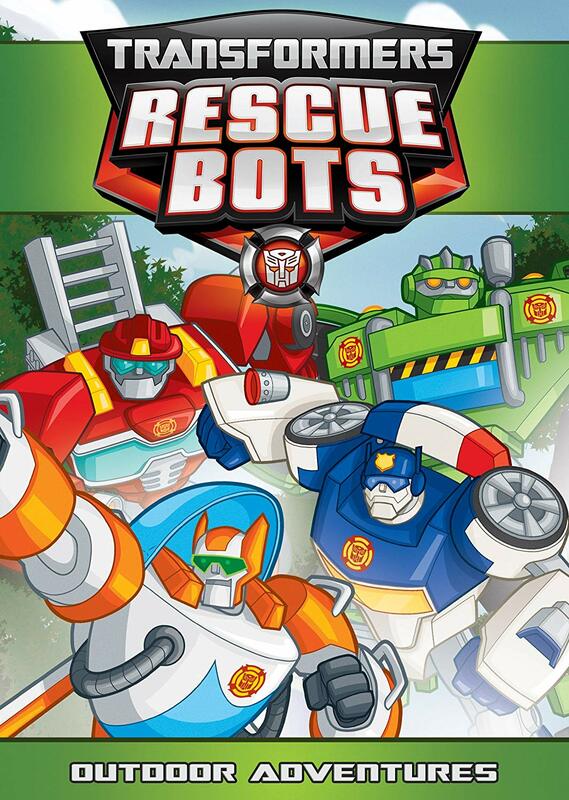 It has also been translated into an animated series in Europe, Australia and Asia.